This year is going to be a big year. In just seven days I start my third trimester! 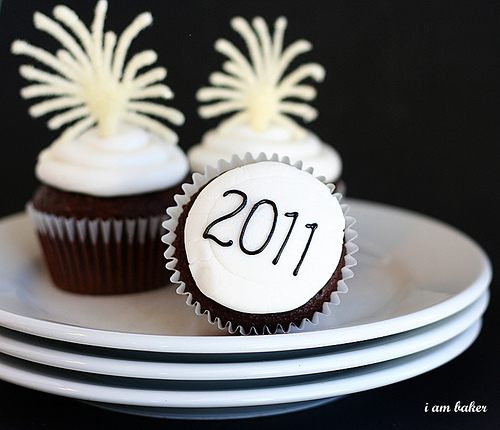 In all honesty last year was not the best, it did however lead me to baking and this blog, which I love. While I’ve got my personal resolutions for the year, I’ve also got special resolutions just for this lovely site. 1. Post, at minimum, every other day. I have no excuse not to, it’s not like I’m not on the computer everyday anyway. 2. Bake more cupcakes. I strayed from my original love and am ready to jump back into the cupcake world. 3. Incorporate more “Stork Stories”. As I get closer to the big day (April 3) I’ve got so much to share! And expect stories and photos of the little one once he arrives. 4. Share my sweets. I know I’ve got a growing baby in me right now, but the weight gain this month was a little more than I’d have liked. While I’d love to completely blame the baby, I think the cookies and cakes had a lot to do with it. So, I will be taking more of my sweet treats to the office so I’m not the only one looking pudgy. 5. Branch out from chocolate. Yes, it’s my favorite, but I’ve been told there are other flavors out there. Whew, this should be a good year!